The food was amazing. I turned up right on time and my meal was ready to go. The staff are always fabulous and really friendly. I find the food to be a little more expensive than other take away joints but the quality is always consistent. I've ordered take away and I've dinned in; either way, I have never been disappointed. Really tasty food, good price and really lovely staff. I would recommend and will definitely be back! Great fresh food & excellent flavour. 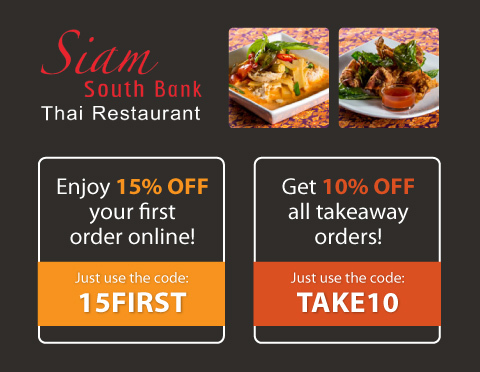 Once again the food from Siam was fabulous a quick order online for take away was ready to go several minutes after ordering. Food was delicious and service was really good. See you again soon.